April 12, 2018 5:53 pm. Trainer Chris Anderson has called on premier Brisbane jockey Jeff Lloyd to ride Mishani Bullitt. 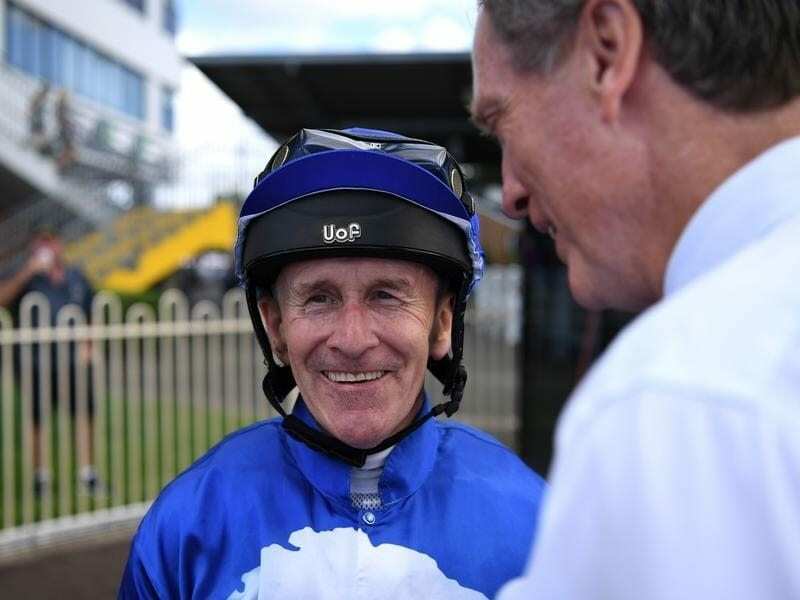 Trainer Chris Anderson is hoping some magic from top jockey Jeff Lloyd can help three-year-old Mishani Bullitt overcome a bad barrier at the Sunshine Coast. Mishani Bullitt resumes in Saturday’s Three-Year-Old Plate (1200m) and is well in with 57kg under the set weights scale but has drawn the outside barrier in the 15-horse field. Anderson has had recent success with Lloyd and is a huge fan of the leading jockey. “As I have said I don’t know way he is talking about retiring. I reckon it would be great to bottle him,” Anderson said. Mishani Bullitt is headed to the winter carnival three-year-old races and Saturday’s race will be a major stepping stone. “He has won a trial in good fashion and this is a nice race to start off in,” Anderson said. Lloyd was seen at his best riding four winners for the third time at a metropolitan meeting this season at Ipswich on Wednesday. He now has 82 metropolitan winners to be well on his way to passing 100 for the second season in a row.